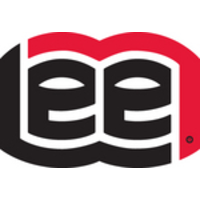 Lee Industries is a long time vendor of Westco’s and are a great source for information on various processing insights. What to know about kettle design and configuration to optimize safety, quality and production. Once a food processing operation decides to expand production capacity — whether driven by a need to improve efficiency, introduce a new product line, or capitalize on market opportunity — plant executives, managers and process engineers must tackle a long list of decisions. Impact on safety and quality: No other equipment in your processing operation influences worker and food product safety and your product’s quality and consistency as significantly as your production kettles. Your decisions for kettle design, features and construction will have a direct impact on these key performance indicators. Cost and market risk: A high-capacity, industrial-grade mixing or cooking kettle is a major capital expense for any food plant. Making the right configuration decisions here will play a major part in meeting plant production goals at the end of the expansion effort, particularly those for production throughput and operating costs. Service life: Integrating a production kettle into your process is a longterm proposition. When planning a line or plant expansion, specification decisions are often irreversible, and these early choices can either empower or impair your process during the many years and even decades this equipment will be running in your plant. Robust and solidly designed equipment will provide long-term trouble-free service.